For many people, cruise ship jobs are the ultimate travel career. You get paid well, you get to explore the world and because your overhead costs are very low (everything is free while you’re living and working on the ship), it’s easy to save a lot of money for travel. This is definitely one of the best ways to get paid to travel! Not long ago we interviewed Cindy Landlust about her experience working on a cruise ship and getting cruise ship jobs all around the world. 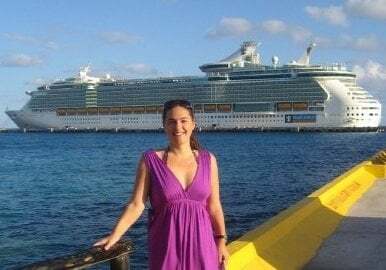 We learned a lot about cruise ship jobs and what they entail, but what became very obvious was that the hardest part for most people who want to start working on a cruise ship is actually finding jobs in the first place. 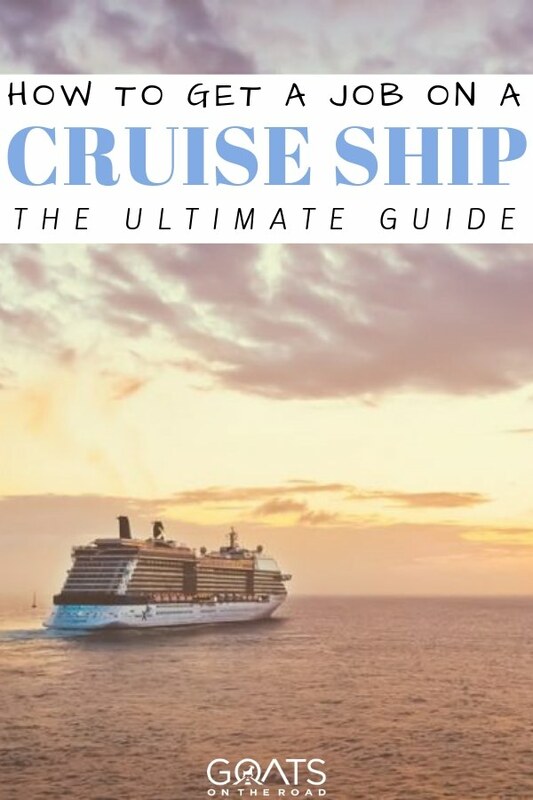 That’s why we decided to create this epic list of the best cruise ship jobs, where to find them, how much they pay and how you to get hired working on a cruise ship today. Why Work On a Ship? How Much Do Cruise Ship Jobs Pay? Why Is Working On a Cruise Ship a Great Job? 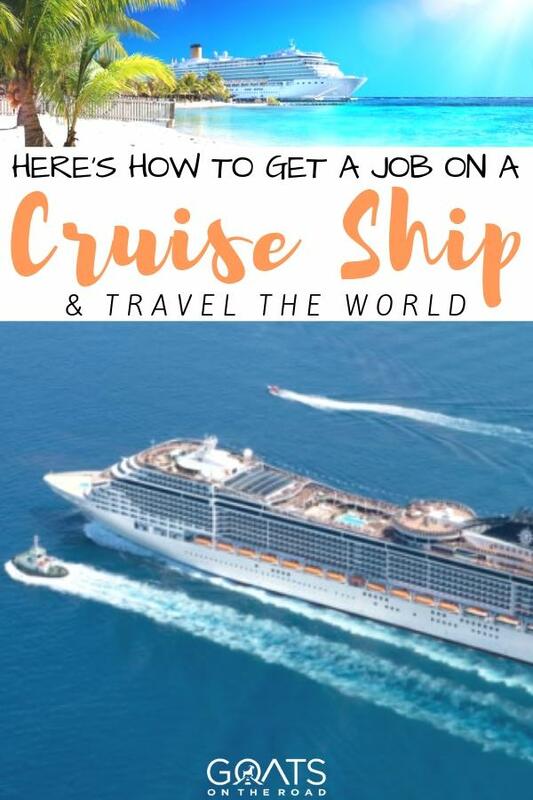 Cruise ship jobs are really easy to come by these days, they pay incredibly well, they allow you to see the world and they don’t always require any previous experience. What more could you ask for? This truly is the ultimate job for those who love to travel, meet new people and be out on the open water. Explore the Mediterranean, the Caribbean, the Baltic, North American coasts and many more destinations. 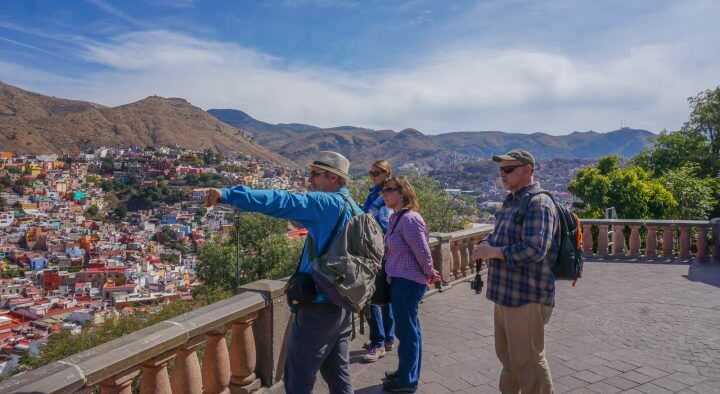 During some days at port, you’re able to explore the cities — as a bonus, the cost of day trips / tours are generally covered by the cruiseline. As far as the various jobs you can get, we’ll list them below, but it really depends on which company you’re hired with and which position you end up in. There is plenty of room for promotion on the ship and there’s often a lot of in-house training to help you improve your skillset and your income. What Types of Cruise Ship Jobs Are There? Bartender: The bartenders on cruise ships will not only mix drinks, but also interact with passengers, manage liquor supply and provide general maintenance and clean-up of the bar section and lounge areas. Casino Staff: Most cruise lines require that casino staff has at least 3 years experience at major casinos in at least two different games, with slot managers typically requiring up to 5 years. The casino jobs typically have the longest hours, but pay quite well. Cruise Director: Usually an entertainer who performs a couple of times on each voyage, the cruise director used to be called the “lead entertainer”, but these days they are typically just in charge of all onboard entertainment. To land this job, usually you’ll have to work your way up from a performer, to an assistant cruise director, to lead entertainer and then finally, a director. Cruise Staff: This is actually a very broad term for anyone on the cruise ship whose job is to keep the passengers busy and entertained. 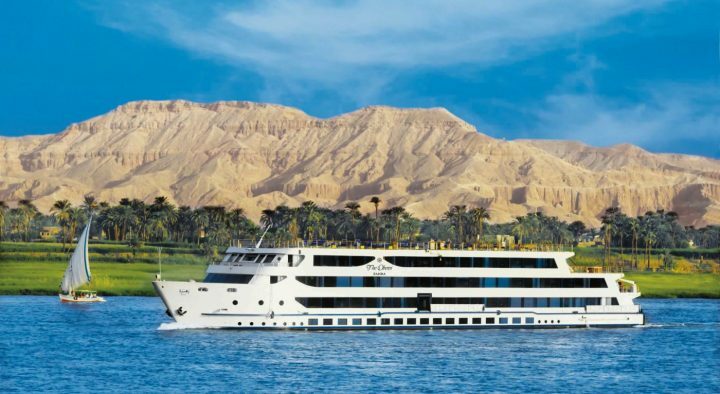 This can be any of the activities on the ship including diving, dancing, yoga and much more. Cruise staff is where you’ll likely find your first cruise job. Staff Captain: The Captain’s right hand man, the staff captain is in charge of the medical and deck department’s safety, leadership and organization. His or her role is to assist the Captain with any duties he or she may have and to watch over the crew and all of the passengers on the ship. Disc Jockey: Disk jockeys are in charge of the music selection on the ship and (sometimes) the stage lighting and ambience set up for entertainment areas. Engineer: Responsible for all maintenance and logistics for the technical operations on board the ship. The chief engineer will be responsible for the main and auxiliary engines as well as all electrical systems including generators, air conditioners, heating, plumbing, refrigeration and ventilation. Gift Shop Position: Just as the name implies, there are many gift shops on board most cruise ships. This job is usually on the cash register or a management position to run the gift shop, its daily operations and its finances. Deckhand: Deckhands do everything from scrubbing and painting to helping dock the ship. They also have general maintenance duties such as operating ship drills, monitoring gangways, clearing obstructions and pretty much any other task needed on deck. Able Seaman: Basically the cleanup crew, the Able Seamen are often cut off from guest interaction and from the crew bar. Technically they are deckhands themselves, but more focused on the cleaning and painting, rather than the other maintenance duties that a deckhand would have. Chief Officer: The Chief Officer helps the main Staff Captain with all of his or her duties throughout the day. The main responsibility for the Chief Officer is the overall maintenance and cleanliness of the vessel and instructing the seamen in safety and environmental procedures. Do Cruise Line Jobs Require a Degree? In some cases, yes, you’ll need a university degree or at least some kind of post-secondary education in order to get cruise ship jobs, but not all positions require a degree. Certain roles such as bridge, deck and technical positions will require post-secondary training at a certified Marine School, but for jobs such as kids clubs, sports staff, guest service officer, entertainment staff, waiters, housekeeping and the shops on board, you should have no problem landing the job without a degree. Something else to note is that if you speak multiple languages, your chances of getting a job will be much higher. Do You Need Prior Experience To Get a Cruise Ship Job? While many of the cruise ship job websites and job boards state that the cruise lines require “prior relevant experience”, in most cases this can be land-based experience as well — in customer service, hospitality, tourism, etc. This means that you don’t have to have any previous cruise ship job experience in order to get hired by a cruise line. 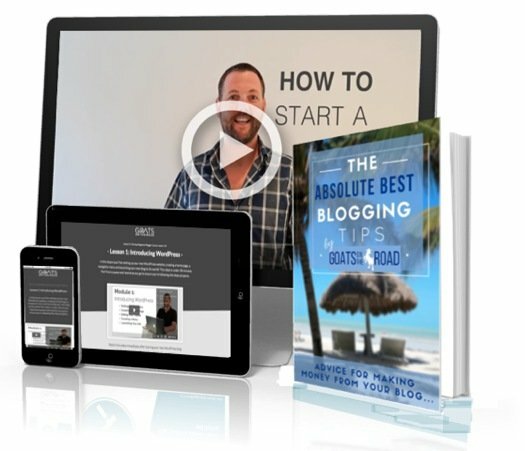 If you’ve applied for many cruise ship jobs and you’re still not getting any bites, you may want to consider doing some sort of online cruise job training. CLIA has a pretty good program to teach you the industry knowledge that you’d need to know on the ships. 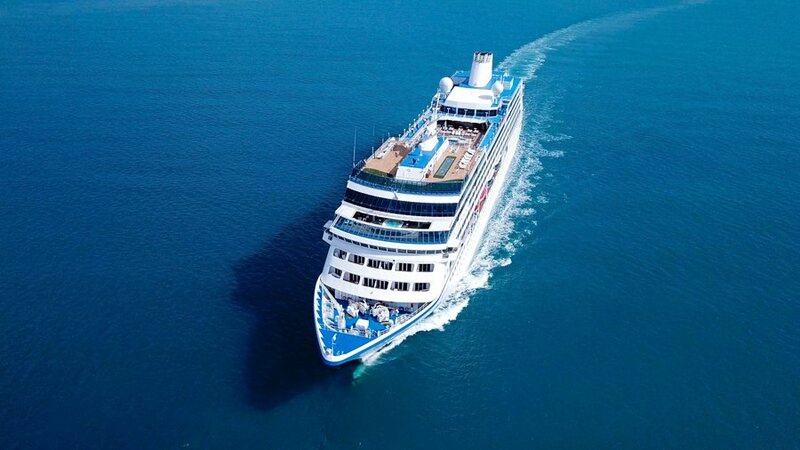 Having this certification would definitely help you to land the cruise ship job of you dreams. Is Working On a Cruise Ship Right For You? With so many different jobs available onboard a cruise ship, pretty much anyone can find a place on the ship doing something they are good at, and enjoy. But no matter what your position is on the vessel, you’ll have to work long hours and many days in a row. In many cases, the shifts will last upwards of 8 months, so you have to be prepared to be at sea, working as many as 12 hours per day, up to 8 months straight! The great thing is that while you’re at sea, living expenses are pretty much non-existent, as food and accommodation are covered. Even if you’re not hired to one of the highest paid positions, you’ll easily be able to save money. You’ll also get free medical insurance with most cruise line jobs and in the higher positions, you’ll have a private cabin. In many cases you’re even allowed to invite your family onboard for free while you’re working. I know people who have paid off student debt of $30,000 in less than a year, and saved enough for a year of travel after just 6 months of working a cruise ship job. 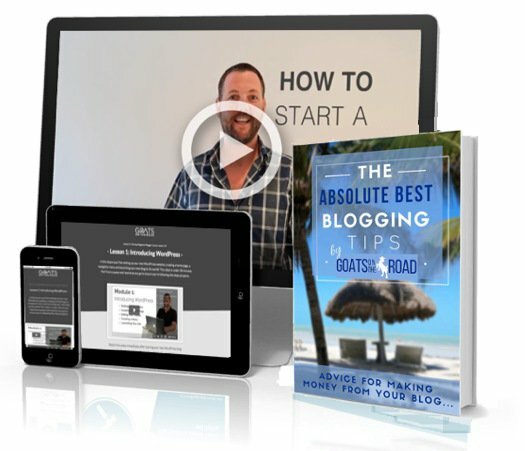 The money is good, you get to visit different parts of the world and you have lots of people to interact with on a daily basis. One great bonus of working on a cruise ship that most passengers would have no idea about, is the crew-only amenities. While most of the crew sleep in small, closet-sized rooms, there are plenty of areas on the ship that they have all to themselves, like private hot tubs, sun decks, gyms, bars and dining rooms. This is the main question people have when they consider working on cruise ship and start searching around for cruise ship jobs. It’s no surprise! If you’re going to be on a ship out to sea, working long hours for 2 – 6 weeks straight, then you probably want to make sure that your going to get paid a decent wage. According to Indeed.com, Cindy’s job would currently pay just under $70,000 USD per year, which is a pretty amazing wage, especially considering that during work, everything is free on the ship. These days, there are so many places to find cruise ship jobs online. Working on a cruise ship has never been so easy thanks to dozens of online cruise ship job finders, job boards and hiring platforms. You can still go the traditional route of finding cruise line jobs by applying directly with the cruise line itself, but most people these days use the web. Flexjobs.com: FlexJobs is one of the best online job boards out there. They understand that there is too much junk online for job seekers and that the internet is filled with too-good-to-be-true job opportunities, annoying ads, broken links, repeat postings and straight-up scams. Their cruise ship jobs are easy to find (just search “Cruise” on the home page) and they have a great list of recent postings. Jobmonkeys.com: Job Monkeys isn’t just for cruise jobs, but they usually have a decent list of recent postings on their site for cruise line jobs. Allcruisejobs.com: All Cruise Jobs is one of the biggest job boards within the cruise line industry. They have a lot of current, up-to-date job postings and vacancies available online and they make it easy to find cruise ship jobs directly through reputable recruiters and employers. Indeed.com: Not surprisingly, Indeed (the largest job board site in the world with over 250,000 million visitors / month) has plenty of cruise jobs available. They have new postings every day (particularly for wait staff and kitchen staff) and then include links to apply directly on the company website or email applications. 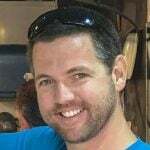 Cruisejobfinder.com: Cruise Job Finder had over 15,000 job openings at the time of writing this post all within the cruise, resort, luxury yacht and tour operator space. Their JobCenter introduces you to the companies that do the hiring and lists new job openings. Disney Cruises: According to their cruise job page, at Disney Cruise Line, you can set sail on the job opportunity of a lifetime aboard their extraordinary ships. You can create an unforgettable voyage for families by delivering exceptional guest service, while also charting the course for an incredible career journey of your own. Royal Caribbean: Royal Caribbean is one of the largest cruise lines in the world and they have plenty of cruise jobs available for those looking to start working on a cruise ship. You can apply directly on their site “Royal Careers At Sea” using the link provided. Princess Cruises: The Princess Cruises Careers Page has plenty of job opportunities broken down into Shipboard, Corporate and Alaskan categories. You can click-through the links and apply directly on their website with emails and mailing addresses available for all of their head offices. Carnival: By clicking this link you’ll be brought to the Carnival Cruise Ship Jobs page where you can apply for any type of job offered on the cruise line. Carnival promotes an energetic, open and fun workplace culture for their employees. In all of the cruise ship job sites I listed above, you’ll have to fill out an application form and send in your resume. If you’ve never had a job on a cruise ship before, you may be wondering what to put on your CV. Always include your correct address and telephone number (including country code). You should have a cover letter on your resume and include any relevant experience you may have ashore. For example, if you’re applying for a casino cruise job, be sure to include any and all previous casino and customer service experience you may have had. Always list your core strengths and make it clear that you’re willing to work long hours and are excited for the adventure. Also point out that you’re looking to continue to improve your skills and move up the ranks. Explain that you’re a fast learner and are willing to continuously do training for any cruise job you may be considered for. If you’re applying for a customer service job on the ship, or basically any job that requires interaction with guests, you should include any previous customer service and sales experience you may have, as well as an outgoing and sociable personality. It’s a good idea to be specific about what position you are looking for on the cruise ship. Putting “Any” under career objectives is a big no-no when applying for cruise jobs. 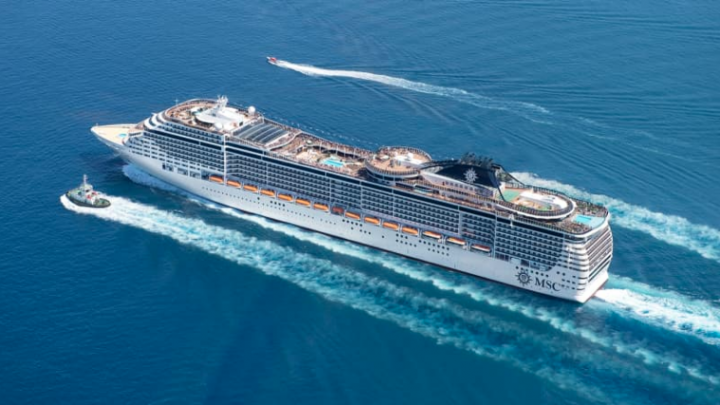 The cruise lines generally want you to understand your strengths and apply for specific positions within the crew, even if you plan to move up later on. Many cruise lines receive between 500 – 1000 resumes every single day, so make sure your resume is well thought out, well-designed and very concise. You’ll want to be original, while still keeping the traditional requirements for any resume. When it comes to the interview, you’ll often need to do these in person. Cindy actually had interviews in Amsterdam and London with a rep from the cruise line. The interview won’t last long and you’ll be asked questions about your experience, plus they’ll be checking your English language ability. Speaking numerous languages is a definite bonus. Once you’ve landed the job, you’ll need to ensure you have a valid passport for at least a year, do a full medical check-up, fill out some paperwork, and apply for the necessary visas (crew member visa if landing in the USA, Schengen visa if in Europe, etc.). The company you are hired with will assist you with the paperwork for the visas. If you’re a travel-lover who wants to get out of the cubicle and explore the world, then a job working on a cruise ship could be a total game-changer. 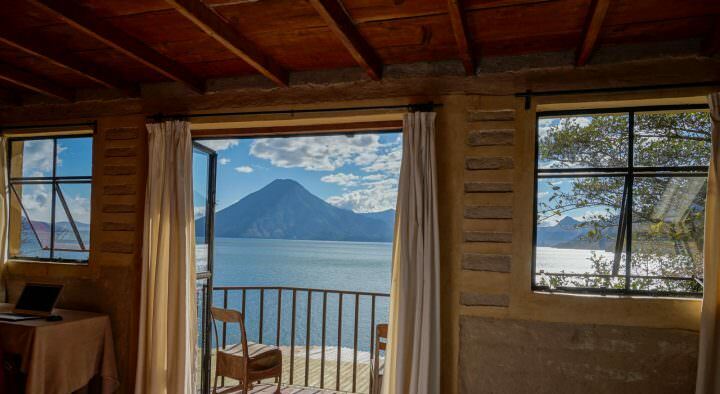 We’ve had so many readers tell us all about how great of a job this is, and while it’s not a vacation, it’s a fun way to make a living and save a lot of money for future travels. You don’t necessarily need a degree or any previous cruise ship experience, but make sure that you list all experience ashore on your resume and when you apply for cruise jobs. These jobs typically pay very well and offer the experience of a lifetime, with a wonderful, international workplace culture. Websites like FlexJobs have hundreds of listings every day, making it easier than ever before to find a job working on a cruise ship. So why not take the plunge? 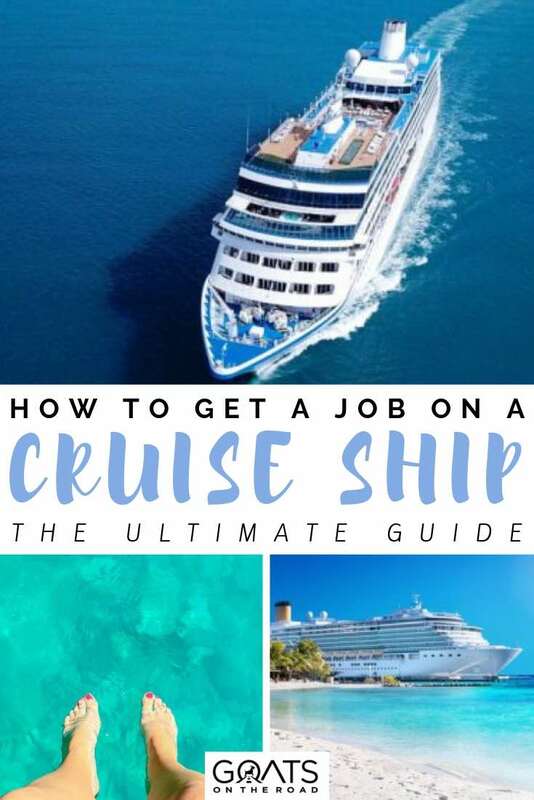 Start searching the cruise ship job sites that I listed in this post, send off your resume to as many as you can and try to land your first job aboard a cruise ship.